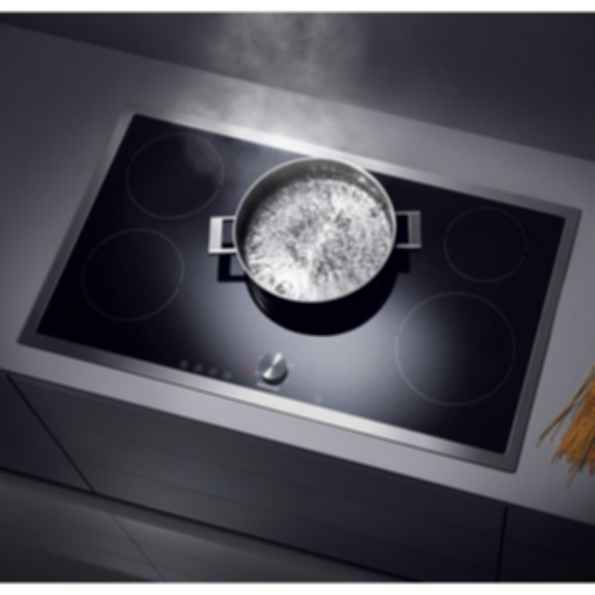 Induction cooktop CI 491An absolute delight to behold. When switched off, the CI 491 blends into the countertop almost invisibly. The visual elements are all reduced to the bare essentials - the cooking zones, the main switch and the Gaggenau logo. Such minimalist design brings out the best in flush-fitted surfaces.